For pet parents, making sure they stay on top of their dog's health is always a priority, and it can be very disturbing to think there might be something wrong with them. Some health conditions that affect dogs cannot be prevented however, but they can be made less frightening if they are better understood. Here is a look at one of those conditions: von Willebrand’s disease. What is von Willebrand’s Disease? Von Willebrand’s Disease is a genetically based disease of the blood that exists in humans as well as dogs. It is the name given to a disorder that causes excessive bleeding due to the lack of a blood plasma protein - von Willebrand factor (vWF) - that would usually aid in the clotting of blood after an injury. Those who have the condition are prone to excessive bleeding after even the smallest injury. Cuts and scratches, even small ones, can become a serious, even potentially deadly, problem for pups affected by the disease. Although they are all very similar, there are considered to be three different types of von Willebrand’s Disease. The first, and most common, Type 1, is very mild and may not be particularly problematic as long as a pup's pet parent is aware of the problem. Types 2 and 3 tend to be far more serious and usually call for carefully managed care. Are certain breeds more susceptible to the development of von Willebrand’s Disease? 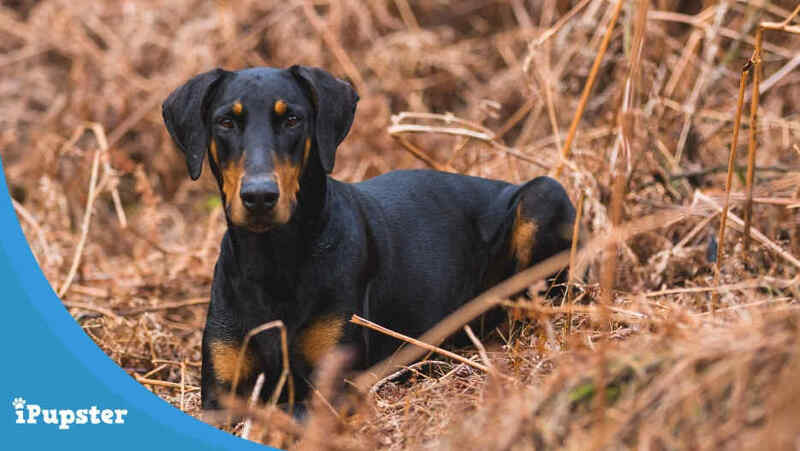 Von Willebrand’s Disease occurs as an inherited condition and while it could potentially affect any dog there are some breeds in which it is more likely various types of the disease will be diagnosed. Type 1, the mildest form of the condition, is most commonly found in standard Poodles, Dobermans, Golden Retrievers and Corgis. Type 2 is seen most often in Pointers and Type 3, which is very rare, is usually found in Scottish Terriers and Shelties. It should be noted that some dogs with hyperthyroidism the incidence of the blood clotting disease may also be increased, and that can affect over 50 different breeds. How can I tell if my dog has von Willebrand’s Disease? In terms of symptoms that can be observed easily by a pet parent it is excessive bleeding that is most noticeable. As Type 1 is a mild form of the disease that usually manifests itself when the dog is young pet parents may notice that their pup seems to bleed more than expected after receiving a small scratch at playtime. In the cases of Types 2 and 3 the disease is more serious and may manifest itself as excessive bleeding from the nose or mouth for no apparent reason, as dark, tarry, bloody stools or as unexpected rectal bleeding. In these cases, excessive bleeding from accidental injury also occurs and can be far more serious. How is von Willebrand’s Disease diagnosed? Whenever von Willebrand’s Disease is suspected a vet will perform a series of blood tests as well as a bleed time test. The latter sees a vet make a tiny incision, usually in the pup's gum, and then time how long it takes for the blood from the clot to heal. This has to be performed under strict supervision as if a pup is suffering from one of the more severe forms of the disease even this very small, intentional injury could be harmful and steps would need to be taken to staunch the bleeding immediately. These days DNA testing can also be helpful, as it can help determine whether or not to pup is a carrier of the defective gene that leads to von Willebrand’s Disease. These tests also allow breeders to identify such dogs as puppies and ensure that they are not allowed to breed, thus reducing the incidence of the condition in their bloodline. How Is von Willebrand’s Disease treated? von Willebrand’s Disease cannot be cured, it is a lifetime disorder. It can, however, be managed, often very well and to the point it rarely really affects a pup's day to day life. In cases where a pup is diagnosed with Type 1 von Willebrand’s Disease formal treatment will often not be needed, but increased vigilance and awareness on the part of the pet parent is a must, as certain things will put their pups at greater risk. In the cases of dogs affected with Type 2 or Type 3 forms of the disease the need for awareness is even more crucial. Pups should not get involved, if at all possible in rough play with others (as this may cause accidental injury) and any small injury that does result in bleeding should be attended to immediately and the bleeding staunched with a bandage or ligature. These pups should not be allowed to play with hard toys that may damage and cut their gums - and 'real' bones should be avoided for the same reasons. Their diet also needs to be controlled. Unlike many others, pups with von Willebrand’s Disease will not benefit from being fed dog foods that contain high doses of Vitamin A, vitamin C or omega 3 fatty acids. Often a limited ingredient dog food that is not enhanced with these things is the best choice, but consultation with the pup's vet is the best way to determine just what they should eat to best protect them. If dogs with von Willebrand’s Disease have to undergo surgery it will need to be revealed that they suffer from the disease, as those with Type 2 or 3 may require blood transfusions, and simple things like claw clipping will also need to performed very carefully and only by someone very skilled and aware of the dog's condition. On the whole, with careful care, dogs with von Willebrand’s Disease can leave full, long lives - as is the case for humans with the disease as well - and in many cases, as they age pups with Type 1 will fare better as symptoms of the disease do tend to improve with age. Share Your Experience: Have a story about von Willebrand’s Disease in dogs? Share it with us by leaving a comment below. If you are concerned about your pet, visit or call your veterinarian – he/she is your best resource to ensure the health and well-being of your dog. This information is for informational purposes only and is not meant as a substitute for the professional advice of, or diagnosis or treatment by, your veterinarian with respect to your pet.